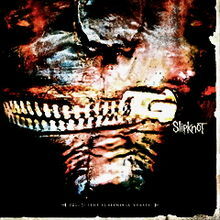 This month I'm going to talk about a Slipknot song called "Vermilion Pt 2". I uploaded my "Vermilion Pt. 2" cover on the 25th of July 2008. This video was originally intended to be a tutorial of this song for Linda, one of my online students. She was my student while I live in Dublin (Ireland), and when I left Ireland I kept teaching her, among other students, via email. I got an email with her request on the 7th July 2008, and I replied with the full lesson a week after. I thought it would help other people, so I decided to upload it to youtube a few days later. It has so far 444.653 views and counting, and it's definitely the video with most views in my channel so far. Just to thank everybody for your comments and views, I'm going to share here a few things in order to help you learning this great tune. I've also recorded a new video with the lead guitar part. Remember this is my own adaptation of the song, and although I believe it works well, I'm not using the very same tuning and positions used in the original recording. Because Linda had only been playing guitar for just a few months, I thought I would adapt the original song to standard tuning, just to avoid the hassle of changing the whole tuning for just one song. I focused on the rhythm guitar part. Also, whenever I'm learning a song for the first time (it was the first time I was playing it), I feel much more comfortable using the tuning I'm more used to. Even if I decide to use an alternative tuning, I like to be able to understand and play the song in standard tuning. For the lead part, I've tried not to alter the standard tuning too much, so I've only tuned down the 6th to B and the 1st down to C#. 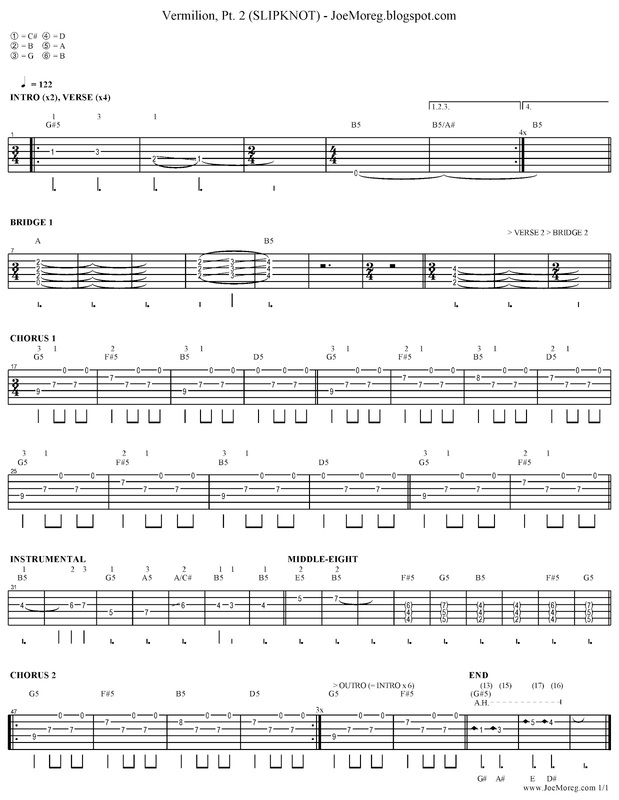 Here is a chord dictionary with all the chords involved in the song. You probably know already that A chord can be played like this (I preferred the previous voicing but they both work fine). In this diagram you can see the main chord of the INTRO (in blue), with the extra notes needed to play the riff (in red). This is probably the trickiest part. Mainly because of the time signature changes. The whole song is mainy in 3/4 (1 2 3 beats), but 4/4 and 2/4 also appear. That's at least how I felt the rhythm worked. The strumming is basically 2 strums per beat. I combine down-stroke and up-stroke, but it could also be played down-stroke all the time. I've recorded this new video for my Youtube channel with all the lead guitar parts. This time I've change the tuning of the sixth and the first strings. I've tuned down the sixth to B and the first to C#. I wanted to be able to play the whole song keeping the standard tuning as much as I could, and also finding an easy adaptation for all the parts. I hope you've found this useful. Please have a look to my previous entries of this blog; I cover many different styles and topics, but you could find something that may interest you.